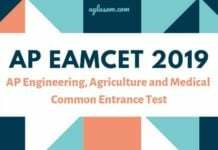 Andhra Pradesh Post Graduate Engineering Common Entrance Test (AP PGECET) is an AP State Level Common Entrance Test for admission into Regular PG Courses in Engineering, Technology, Pharmacy and Planning (ME / M.Tech. / M.Pharmacy/Graduate level Pharm-D (Post Baccalaureate)) courses. It is conducted by Andhra University, Visakhapatnam on behalf of the Andhra Pradesh State Council of Higher Education (APSCHE). 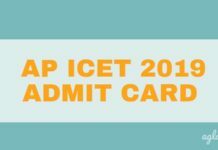 Check complete details on AP PGECET from this page. 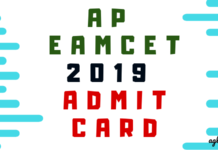 The main objective of AP PGECET is to identify at the state level, meritorious and motivated candidates for admission to Post Graduate programmes in Engineering, Technology, Pharmacy, Graduate level Pharm-D (PB). The eligibility criteria for AP PGECET is described separately for each discipline and course. It is mandatory for the candidate to determine his / her eligibility before applying. The Candidate should belong to the state of Andhra Pradesh. Candidates who are pursuing a B.Tech or its equivalent / B.pharma course shall be eligible for entry into the relevant M.E./M.Tech./ M.Pharmacy courses provided they have completed the prescribed course and passed all the subjects for the award of the degree by the concerned university on the date of counseling for admission into the colleges. Check the eligibility for each course as given on “Courses and Eligibility” page. The test is a Computer based test wherein the candidate has to answer them online. The test will be in English medium and consists of 120 Marks with 120 Multiple choice Objective type questions and the time allotted is 2 hours. Candidates can check the previous year question paper & answer key from the link given below.